We all have our favorite outdoor activity. Whether it’s heading out for a day hike, or grabbing your gear for a morning of fishing. However, being outside in the sun for long periods of time can take its toll on your skin as you age. Without applying (and reapplying) the proper SPF sunscreen and utilizing shaded areas, your skin can absorb enough direct sunlight to cause a sunburn in as little as five minutes. Unfortunately, people who work outdoors may not have time to reapply sunscreen or take long breaks in the shade as often as they should. Others may have traits that make them more susceptible to skin cancer so they require additional sun protection on top of sunscreen. The answer to these common problems is easier than you may think—sun protective clothing! Clothing brands are now offering new lines that have one extremely beneficial feature—material that is designed to protect you from the sun. 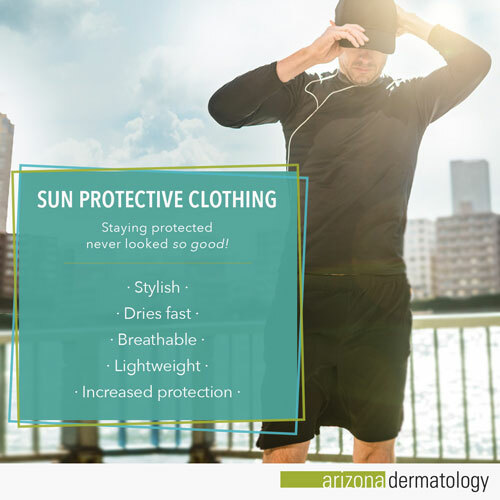 Read on to learn more about sun protective clothing and to find the brand that is right for you and your lifestyle. Sun protective clothing is made of tightly woven fabric that minimizes the space between each individual strand, which in turn minimizes the amount of sunlight that can reach the skin. Despite the tightly woven nature of the fabrics, sun protective clothing is lightweight, breathable, and dries quickly to wick sweat away from your body and help keep you cool. Where to purchase sun protective clothing. REI has a wide selection of sun protective clothing. The company sells pants, shirts, skirts, and hats to fit practically any style. Some items are made for camping and hiking, while others are more fashion-forward for a casual day out in the town. REI carries multiple brands of sun protective clothing as well as its own line of items, so you are bound to find something that works for you. Columbia’s OMNI-Shade line of fabric is designed to block both UVA and UVB rays. The brand sells clothing options for men, women, and even the kids! Columbia also offers a variety of styles to protect you in various weather conditions for those of you that enjoy extreme outdoor activities. For additional sun protection on hard to cover areas, visit Columbia for patterned arm sleeves and neck wraps in store or online. If you’re looking for stylish protective clothing you can wear out to a nice lunch, Coolibar is for you. Coolibar is a one-stop shop for all things sun protection. The online retailer sells clothing, hats, and sun accessories for men, women, children, and babies. At Coolibar you can find perfect dresses, pants, everyday tees, fitness clothing, and swimwear to fit both your lifestyle and personal style. Coolibar has a large selection of basic colors and stylish prints to mix and match, allowing you to create a variety of outfits that are both stylish and protective. Coolibar doesn’t stop at clothing. The online retailer also sells sun accessories such as umbrellas, hats, gloves, and sunscreen to help protect you even more. 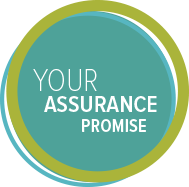 If you are serious about protecting your skin, Solumbra by Sun Precautions is the brand for you. The Solumbra line was designed for men, women, and children who are medically sensitive to the sun. Unlike ordinary shirts that have only 5 to 9 SPF protection, the Solumbra line provides a long lasting solution to sun protection with all products having a 100 or higher SPF protection. That’s more than sunscreen! The material in each item blocks 98% of UVA and UVB radiation from reaching your skin and causing severe skin damage. You will find clothing for active sports like hiking, biking, and running, in addition to leisure sports like golf and boating. Solumbra also has an extensive line of swimwear, which includes swim shirts, rash guards, and swim leggings to keep you protected while in the water. Now that you understand why sun protective clothing is important and where you can find it, you may find yourself asking, “How do I measure the effectiveness of one piece of clothing to another?” Well you have probably heard of SPF, or Sun Protection Factor, which measures how protective sunscreen is, but sun protective clothing is rated using the UPF, or Ultraviolet Protection Factor, scale. If you wear a shirt with a UPF rating of 50, it translates to only 2% (1/50) of the sun’s UV radiation reaching your skin. Compare that to standard clothing which typically has a low UPF rating of about 6, and you can see how beneficial clothing with a higher SPF rating can be. Keep in mind that specific dyes and chemical treatments can also be added to clothing to increase their UPF rating. Generally, the more vivid the color of your clothing, the higher the UPF rating is. Different activities require different levels of UPF protection. A typical day of running errands may only call for a rating of 15 to 24, but a long hike or a full day of golf may require a UPF rating of 50 or higher for more protection since you’ll be outdoors for a longer time period. Benefits of wearing sun protective clothing. In addition to your sunscreen, sun protective clothing can help prevent sunburns. If you don’t have a chance to reapply sunscreen while you are outdoors, your clothes have got your back. The tightly woven fabric of sun protective clothing often covers more skin than a regular item of clothing, lessening the risk of sun exposure. Modern day fabrics also provide long sleeve shirts and pants for people to wear while in hot weather conditions for a protective, yet comfortable fit. People of all ages with fair or pale skin can rest easy knowing that their skin is protected. For these skin types, sunscreen is often not enough to prevent a sunburn. By wearing sun protective clothing, people with traits that are more susceptible to skin cancer can enjoy the outdoors without suffering a painful sunburn afterward. People with darker skin tones may not burn as easily, but that does not eliminate them from potential sun damage and skin cancer risk. Everyone should consider sun protective clothing when they are exposed to the sun for any length of time. Enjoy sunny days, free of sunburns! Purchase sun protective clothing for yourself and your family and enjoy being outdoors without worrying about sun damage to the skin. Take that longer hike you have always wanted to try, spend a day out on the lake, or play all 18 holes of golf. Sun protective clothing will make the outdoor lifestyle you have always wanted a reality.